Blue Jeans Go ‘Green’: Is Ethical Production a Good Fit for the Denim Industry? As ‘new consumerism’ sees shoppers’ demand shift increasingly towards sustainability and ethically produced fashion, jeans, one of the worst offenders in terms of human and environmental production costs, will present some of the best opportunities to make a sound business out of ethically produced apparel. The peculiarities of the UK’s relationship with jeans will make it easier for brands to convince shoppers to trade up to higher quality and higher prices, mitigating the costs of ensuring more ethical production. While jeans have been cemented as a staple garment for fashion and function, mounting evidence has spoken to the huge impact on people and the environment of supplying the UK’s appetite for cheap denim bottoms. Their mass production, which often requires highly toxic chemicals in order to produce pre-faded on-trend garments, has come under particular scrutiny from regulators and organisations such as the Clean Clothes Campaign. As a result, apparel brands, retailers and manufacturers have rushed to quantify the commercial potential of ethical and sustainable apparel. The greatest challenge has been to meet growing demand for ethical fashion while dealing with the increased material and labour costs of monitoring supply chains and ensuring ethical production. The characteristics of the UK’s relationship with jeans make this one of the best products to absorb increased production costs. Studies on ethical spending have shown that consumers are willing to spend more on products that provide improved quality along with the ethical guarantee. Because jeans are so ubiquitous and versatile, UK consumers place a higher value on product quality than they do in other apparel categories. While ‘fast fashion’ has reduced consumers’ desire for hard-wearing bottoms, many have still been willing to accept higher prices and remain loyal to brands that guarantee them comfortable materials and a flattering fit. Compare this to the tops category, where trends change more rapidly and consumers spend less time wearing any single garment. This makes fit, comfort and durability less pressing and premium pricing more closely linked to branding. As a result, it’s more difficult to convince consumers that spending more will bring an added benefit. This happens to be where volume-driven, fast-fashion brands have led and consumers are decidedly disloyal. As the UK becomes more mindful of its consumption, sustainably produced jeans present an opportunity for players to target a high-profile ethical issue, while supporting revenue with a product that can drive higher value sales. In many cases, the costs of ensuring ethical production will overlap with the costs of improving quality. For example, near-sourcing production may allow closer monitoring of suppliers labour practices in addition to more control over quality assurance. Getting consumers to accept higher prices for a product that a decade of ‘fast fashion’ has taught them to buy cheap and replace often will be a challenge. However, led by urbanised millennials, UK consumers are gradually buying into the ‘circular economy ‘and seeking to gain maximum value from less consumption. As evidence of this, Euromonitor International’s apparel and footwear data shows that after consecutive years of decline, unit price growth has begun to stabilise across most jeans price segments. Notably, premium and super premium jeans have only just seen a marginal decline in price growth after maintaining markedly above-average historical growth. Brands such as Hiut Denim in the UK and Tuff’s in France have been gaining strength as a result. These players source all production internally and locally, keeping their supply chains short and guaranteeing the standards of production. Both brands have developed a fiercely loyal following of buyers who value the ethics and sustainability of their production as well as their high quality. Both brands pitch their jeans as a high value investment, justifying higher retail prices to account for the increased cost of nearer sourced production. While it is always going to be a struggle to talk the average shopper into ‘breaking-in’ a stiff, heavy 19oz pair of raw selvedge jeans (waiting the better part of a year before washing them to get an authentic fade), high-quality denim can clearly sell big. The success of selvedge lines by Topshop and Uniqlo and H&M’s ‘conscious’ jeans has demonstrated that shoppers can be convinced to trade up on ethics and quality, fueling value-led growth. Sustainable jeans have thus far been limited to niche premium brands and high-profile, but small-scale, ‘green-washing’ efforts of major fast-fashion players. Those that prioritize ethics early will appear more authentic than those which seem to conform as a begrudging necessity; gaining favour with the increasingly influential millennial consumer. The challenge will be for winning brands and manufacturers to take bolder steps to make higher value ethical and sustainable jeans a more prominent feature in their product mix, before growing regulatory pressure and consumer outrage takes the initiative away from them. This entry was posted in Brands, Recycling and tagged circular denim, Circular Economy, Consumerism, consumption, Denim, Fast Fashion, H&MConscious, Hiut denim, Jeans, selvedge jeans, Supply Chain, Topshop, Tuff’s, UK, Uniqlo. What’s in your jeans? A rogue’s gallery of unpronounceable chemicals whose effects on humans are suspect. Perfluorochemicals , phthalates and azo dyes are among the substances that are widespread in making clothes. Under pressure from consumers demanding safer alternatives to harmful chemicals, American companies including Levi Strauss & Co. are taking a more European approach. The European Union has banned or restricted more than 1,000 chemicals; in the U.S., fewer than 50. Consumer demand for safe products has global companies scrambling for greener ingredients, but obstacles are daunting.Suppliers are often reluctant to share their formulations, buyers balk at higher costs, and in some cases cost-effective safer substitutes simply aren’t available. Levi’s has prohibited certain chemicals since 2000, but this is different. The jeans maker and other companies are asking suppliers to use materials generated from bacteria, fungus, yeast and methane gas to replace the petroleum-based substances that make up more than 95 percent of U.S. products’ inventory of chemicals. There are plenty of incentives to change. A Pike Research report estimates that the global market for green chemistry will increase to almost $100 billion by 2020, from $11 billion last year. Millennials are overwhelmingly interested in sustainable investing, according to Morgan Stanley. And innovating can give companies a competitive advantage, said Monica Becker, co-director of the Green Chemistry and Commerce Council , which works with companies including Wal-Mart Stores Inc.
Companies can make false promises that a product is consistent with green-chemistry practices, Becker said, but guarding against that are assessment methods used by the Environmental Protection Agency’s Safer Choice program. Rules can also confound the efforts of U.S. companies. To approve chemicals and processes, the European Union uses a so-called hazard-based approach that the Chinese government is also considering. Manufacturers need to prove their products meet safety standards before they bring them to market. The U.S. method is risk-based. It involves weighing metrics, such as quantity and duration of exposure, to assess the danger in an existing product — if data exist. Proponents of a hazard-based approach argue that exposure to even tiny amounts of some chemicals correlate with learning disabilities, asthma, allergies and cancer. “Shouldn’t it be that chemicals are guilty until research proves them innocent?” said Amy Ziff, founder and executive director of Made Safe , a new hazard-based certification program. Levi’s said its goal is to use only chemicals that pass hazard-based screens by 2020. Even as some suppliers push back, “we wouldn’t give up on hazard-based,” said Bart Sights, Levi’s director of global development. Levi’s already uses some green methods to make its signature blue jeans. To give them a worn look, Levi’s uses an enzyme derived from fungus and tumbles the jeans in ozone gas instead of bleach — a process that Sights estimated has had the added benefit of saving the company a billion gallons of water in the past three years. “Some companies are spending the same amount on environmental compliance as they are on research and development,” said John Warner, president and chief technology officer of Warner Babcock Institute for Green Chemistry , who created the first green-chemistry Ph.D. program in the U.S., at the University of Massachusetts at Boston. Companies can be roiled by the use of non-green chemicals. Lumber Liquidators Holdings Inc. was beset by lawsuits last year after a “60 Minutes” investigation said it used unsafe levels of formaldehyde. Shares plunged before a government probe ended without a product recall. The company no longer sells the flooring. Such problems have investors taking notice, said Mark Rossi, whose company, Clean Production Action , created the Chemical Footprint, modeled on the carbon footprint, that investors can use to measure risk and costs. 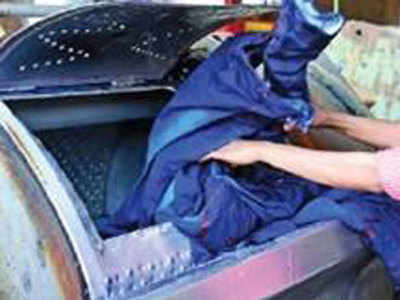 It also developed and licenses a chemical-screening method used by Levi’s and others. Rossi has signed on firms including BNP Paribas, Calvert Investments and Trillium Asset Management, while companies like Johnson & Johnson and Clorox Co. participated in the first survey to assess their footprint. Gojo Industries Inc., maker of Purell hand sanitizer, has pledged to cut its chemical footprint in half by 2020. In the five years since it launched a campaign to spur clothing makers and sellers to get rid of toxic substances, Greenpeace International has signed on 78 brands, said Kirsten Brodde, head of the organization’s Detox My Fashion campaign. At the Berkeley Center for Green Chemistry , across the Bay Bridge from Levi’s San Francisco headquarters, students have worked with the jeans maker and companies such as outfitter Patagonia Inc., office-furniture maker Steelcase Inc. and Mango Materials Inc., which manufactures plastics out of methane gas, to develop safer materials, including a non-toxic resin for Autodesk’s 3D printers. But an overnight change for the greener just isn’t possible. A comprehensive replacement for formaldehyde, for example, hasn’t been developed, Mulvihill said. Mulvihill is now a partner at Safer Made, a new venture-capital firm he co-founded that’s seeking investments in companies that use green chemistry. It’s looked at more than 100 companies, with plans to invest in 10 to 15 firms in the next five years, he said. Patagonia has also invested in green chemical companies. A Levi’supplier, Beyond Surface Technologies , is one of a dozen the Ventura, California-based clothing maker has seeded out of 1,400 prospects it’s looked at since 2013. “Ultimately, some of these companies that we fund could be able to help us clean up our own supply chain,” said Phil Graves, Patagonia’s director of corporate development. There are 20 environmentally friendly chemicals available for the company’s textile finishes, compared with 200 to 300 that contain non-green chemicals, said Matthias Foessel, Beyond Surface’s founder and chief executive officer. Developing safer alternatives can take years, while acceptable green substitutes for some substances used in waterproofing and stain protectants, such as perfluorocarbons, don’t exist, Foessel said. New chemicals often behave differently than expected. Beyond Surface had been trying to create a water repellent when it developed a fabric that absorbs sweat instead. Still, Foessel’s eight-year-old firm, based near Basel, Switzerland, now has more than 100 customers, including Adidas AG. This entry was posted in Uncategorized and tagged Azodyes, Berkeley Center for Green Chemistry, BeyondSurface, ChemicalFootprint, CleanProductionAction, Clorox Co, Detox Campaign, DXetoxMyFashion, EPA, Gojo Industries Inc, GreenChemistryandCommerceCouncil, Greenpeace, Greenpeace Detox, Jeans, Johnson & Johnson, Levi-Strauss&Co, Levis, MadeSafe, Mulvihill, Patagonia, Perfluorochemicals, Pthalates, SaferChoiceProgram, US, WarnerBabcockInstituteforGreenChemistry. Dan Schawbel | This post first appeared on Forbes here. 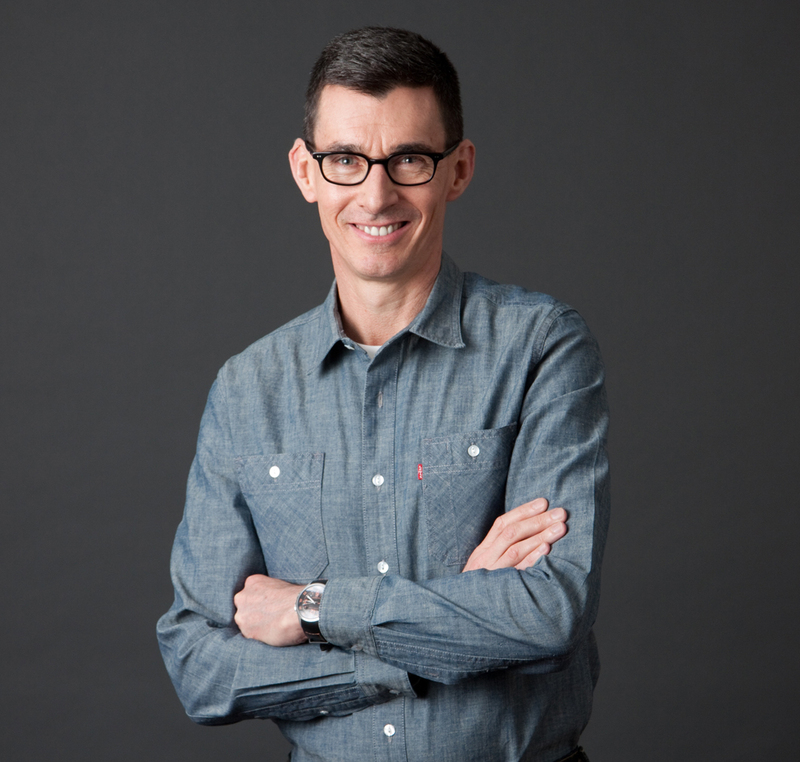 I recently spoke with Chip Bergh, who is the President and Chief Executive Officer (CEO) of Levi Strauss & Co, a leading global apparel and consumer goods company with sales in more than 110 countries. In the interview, he talks about the importance of sustainability to Levi Strauss, gives some highlights from their recent sustainability survey, and why he talks about profits through principles. Bergh is a strategic leader with a proven ability to build and grow brand powerhouses, bring new products to the mass market, develop innovative marketing campaigns, and capitalize on digital platforms to drive brand awareness. Prior to joining Levi Strauss & Co, Bergh was Group President, Global Male Grooming, for The Procter & Gamble Company (P&G). During his twenty-eight year career at P&G, he served in a number of leadership positions with increasing levels of complexity and scope. Dan Schawbel: How important is sustainability to you and your company? Chip Bergh: It’s an important pillar for us as a company. It’s an important pillar from an innovation standpoint, but it also goes all the way back to our values as a company. This company’s been around for 162 years, going back to our founder, Levi Strauss; the man, the myth, the legend himself. We invented blue jeans about 142 years ago. He was an entrepreneur—I like to think about us as the original Silicon Valley startup. He, from the very beginning, was very big into giving back and making sure that the company always operated with principle and doing the right thing. As a result of that, sustainability in the broadest definition of the word—not just environmental sustainability, but social sustainability and everything else—is part of the fabric of this company. It is a very big deal for us, we’re very focused on it. We use sustainability as a constraint to drive our innovation program. It’s part of who we are, and I think more and more consumers are beginning to recognize that. Schawbel: Can you explain your current sustainability initiatives and how they’ve helped your company while supporting the world at large? Do you have any success metrics you can share? Bergh: Sure. Just a couple of weeks ago we launched an updated life cycle analysis of a pair of blue jeans. We ran the first life cycle analysis back in 2007, before my time at the company, and it was an industry first. 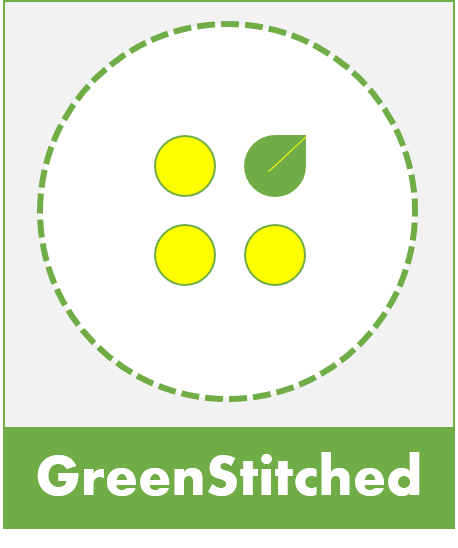 It was the first life cycle analysis done in the apparel industry. It was done based on US data. It was very insightful. It gave us a lot of insight into both water and energy consumption that a pair of jeans actually consumes through their life. We recently updated the life cycle analysis about a month ago. It takes much more of a global look. We studied the life cycle of jeans in the U.S., but also in the U.K., France and also in China, where consumer habits and practices are very, very different. There are differences regionally, but the bottom line is still the same. A lot of the water and a lot of the energy is consumed before the jeans ever make it into the consumer’s closet, but a significant portion of water and energy consumption happens after the jeans are bought by consumers. So we are focused on every aspect of the life cycle, including what’s within our direct control, which is how the jeans are actually made. A lot of water is consumed growing the cotton. We work with the Better Cotton Initiative to work with cotton farmers to show them more sustainable ways of growing cotton. That’s becoming a more important source of cotton for us. Making a difference there. We’re very focused on reducing the consumption of water and energy as we manufacture our products. We have a line of products called “Water<Less,” which reducesthe amount of water in the finishing process by up to 96% . That has saved, over the last four years, about one billion liters of water in the actual manufacture of a pair of jeans. Just for perspective, that’s about enough to provide drinking water for the city of New York for more than a month. It’s not inconsequential, that’s a lot of water. Water is one of the most precious commodities on earth these days. We’ve also committed a lot of energy—no pun intended—a lot of time and effort communicating with consumers about things that they can do to significantly reduce the use of water and energy in the caring of their jeans. I made what is now the quote that’s gone around the world a couple hundred times saying, “Never wash your jeans.” I never actually said, “never,” but it was a comment that I made at a sustainability conference about a year ago to try to wake the consumer up from auto pilot. You don’t need to throw your jeans in the laundry every time you wear them. Encouraging consumers to hand wash, spot clean where possible, and postpone as long as possible throwing their jeans into the washing machine. We have a number of initiatives against every aspect of the supply chain, if you will. From the growing of the cotton, to the manufacturing of a pair of jeans, to really trying to influence and educate consumers on the proper care of their product. Schawbel: Millennials want to work for a company that is benefiting society. Why are companies starting to emphasize how they are helping the world more today than years ago? Do you think that companies that only focus on profit will have a recruiting dilemma in the future? Bergh: I’ll tell you what we’ve been doing, but this is not something to just address the Millennials. It goes back to our founder, and it goes back to the values of this company. We actually talk about profits, we are a business. We’re here to make a profit. But we talk about profits through principles. We have a non-profit foundation, called the Levi Strauss Foundation, which has been in existence for more than 60 years. The company, every year, funds that foundation with a percentage of the profits that we make. Through that foundation we have lots of programs in the communities where we live and work. The more successful we are as a company, the more earnings or profits we deliver, the more we’re able to give to the Levi Strauss Foundation, and then give back to the communities. It is a big part of who we are as a company. Ethisphere just named Levi Strauss & Co. one of the world’s most ethical companies. It’s something that we’re really proud of. It is part of our ethos. It is helpful in attracting and retaining talent, there’s no question about it. Especially today where young people, as you said, are looking for companies that align with their personal values. That’s just the kind of company we are. We didn’t change it to attract Millennials, that’s who we’ve been since the inception of this company. As a result of that, we stand for that, and we’re able to attract a lot of great talent because of what we stand for. Schawbel: Going back to what you were talking about with the product life cycle assessment study, can you share some interesting findings of the study with us? Bergh: Sure. We studied only two years of consumption in a consumer’s household. About 25 percent of the water is consumed by consumers once they get the product home. Part of it is just from this auto pilot response of, “After I wear a pair of jeans I’ve got to throw them into the washing machine.” In the US, people wash their jeans every two times they wear it. If everyone delayed or postponed the washing of their jeans and throwing them into the washing machine to every ten wears instead of two, they would save enough water to meet the annual water needs of the city of San Diego for a full year. This whole notion of not being mindless about throwing your jeans into the washing machine—you really would be amazed how long you can wear a pair of jeans just with spot cleaning them, if you drop a little spaghetti sauce on them, or something. Or hand washing them. The washing machine consumes a ton of water. I think it’s about 9-14 liters in every wash cycle that pair of jeans would consume (depending on efficiency and age of the washing machine). Dan Schawbel is the Founder of WorkplaceTrends.com, a research and advisory membership service for forward-thinking HR professionals. This entry was posted in Conversations and tagged Better Cotton Initiative, Denim, Forbes, Jeans, LCA, Levis, Water.